Congratulations! The ebooks are compiled in an adobe acrobat pdf file format. The PDF report format is compatible with all computers including Mac and PC. The report is fully printable or you can simply read it on your computer screen. To download and save the reports to a specific folder on your hard drive, right click on the link below, “save target as” and select the destination folder where you want to save it. Enjoy! 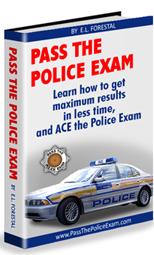 Important note: The above pdf file is the study guide for the police written exam. 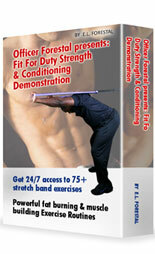 Important note: The above pdf file is the workout program to prepare for the police agility test.